NASA sent a robotic spacecraft from Florida out to an asteroid Thursday, but that's not the only asteroid mission the space agency has in the works. 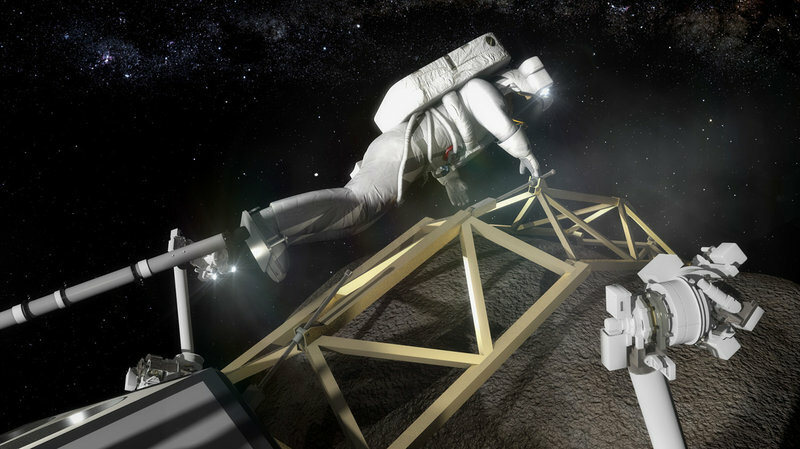 Officials also want to study a different asteroid with the help of astronauts. And it looks like the next president, plus Congress, will have to decide whether this human mission to a flying rock should ever get off the ground. The idea of visiting an asteroid goes back to 2010, when President Obama went to Kennedy Space Center in Florida to lay out his new plan for space exploration. He said he wanted astronauts to eventually land on Mars, and that the first steps would be to send astronauts out beyond the moon. "We'll start by sending astronauts to an asteroid, for the first time in history," he told the NASA workers. "By the mid-2030s, I believe we can send humans to orbit Mars and return them safely to Earth. And a landing on Mars will follow." The trouble is, flying people to an asteroid turned out to be really hard. The trip would take months. So NASA settled on a slightly different plan, called the Asteroid Redirect Mission. 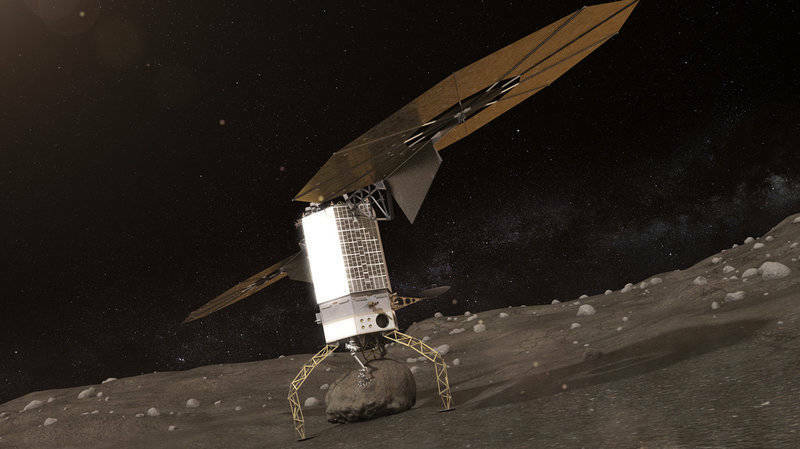 The agency would send a robot out to retrieve an asteroid and bring it close to the moon. That way, the astronauts could study it in lunar orbit. "It wasn't sending people to an asteroid; it was bringing an asteroid to people. But you were still demonstrating some of the technologies that NASA wanted to demonstrate as part of its long-term goal of sending humans to Mars," explains Marcia Smith, a space policy analyst and consultant. But it was difficult to find a small asteroid to target, and that mission seemed too daunting. "They ultimately made the decision to not move an entire asteroid, but just pluck a boulder from the asteroid's surface, and bring the boulder to the astronauts," Smith says. "That is the current plan." Having a robot venture out tens of millions of miles, grab a multi-ton, car-sized boulder and then drag it to the moon, plus sending people up to study this rock, will cost something like $2 billion. That's a hefty price tag, and some question whether this mission really makes sense, given NASA's limited budget for human space exploration. "If your long term goal is to go to Mars, do you need to spend $2 billion doing this mission?" Smith says. "Or can you spend it better doing other things?" NASA says that when a crew flies up in the mid-2020s to rendezvous with this hunk of asteroid orbiting the moon, it will be a clear step forward — toward putting people on Mars. "It'll be the first time we have brought humans back to the lunar vicinity," says Michele Gates, program director for the mission at NASA headquarters in Washington, D.C. "They'll actually be 50,000 miles past the surface of the moon — farther than people have ever been before." Gates says planners are currently targeting a near-Earth asteroid called 2008 EV5, and that the first part of the mission would launch in December 2021. 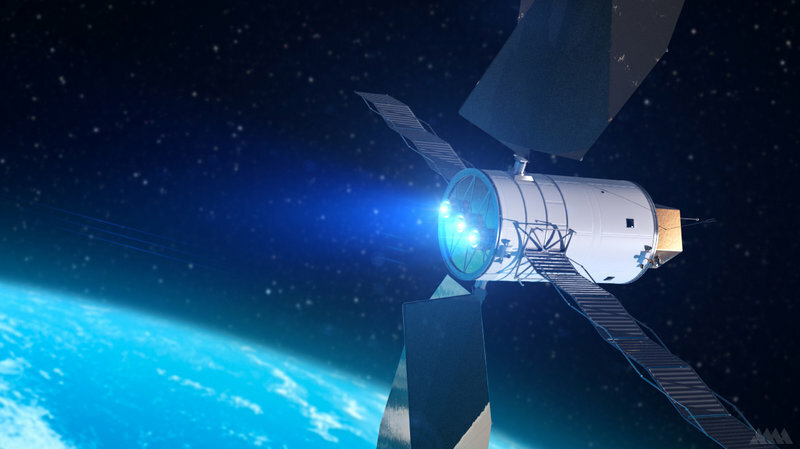 A major goal is to use advanced solar electric propulsion that's already in development at NASA. "This technology that we'll be demonstrating is truly a leap from where we currently are, and a significant step and contribution to what we'll need for deeper-space human missions," Gates says. Another part of the mission would be to test out the so-called gravity tractor method for altering the course of an asteroid. The robotic spacecraft would hover near the asteroid for a while, using the tiny force of its gravity to tug the asteroid onto a different path. Seeing how well this works could reveal whether that's a viable strategy for protecting our planet from any dangerous space rocks that astronomers determine are on a collision course. Once astronauts met up with the captured asteroid boulder in lunar orbit, they could gather samples of the big rock to bring home. Gates says they'll be able to retrieve more material than the fully robotic OSIRIS-REx mission that just launched. And, she says, these samples "will be carefully selected, utilizing the brains, the real-time thinking, the decision-making and the visual capabilities that humans will bring." The mission has been through two key decision-making reviews — the last one wrapped up in July. "We're currently in what we call the formulation stage," Gates says, adding that NASA would not make any firm commitment until the next major review, scheduled for March 2018. Not everyone loves this mission. Asked if the space agency should do it, former astronaut James Voss told NPR, "That's a really hard question." He understands NASA's rationale for it, but says he personally thinks the money could be better spent on something that would get people to Mars more quickly, such as the development of a Mars lander. Indeed, if you just sat down and tried to chart a path forward to Mars, it's hard to imagine that you'd include this kind of effort to capture an asteroid, says Leroy Chiao, another former astronaut. Chiao says that if he were still part of the astronaut corps, he'd be excited to fly around the moon. "And if there happened to be an asteroid there that we could fly in formation with or, you know, a boulder, that's fine. But I'd be just as happy not flying in formation with a boulder." Given that NASA's stated goal is to get to Mars in the 2030s, Chiao just doesn't see the point of this asteroid mission, which he believes is a product of budget constraints and politics. "On a technical level, I don't think it's worth doing," Chiao says, adding that NASA seems to be trying to satisfy the White House's desire to do something with an asteroid. He thinks we'd learn a lot more about how to explore Mars if we did something like set up a moon base to test out habitats, rovers and space suits. "But frankly," Chiao says, "the moon was perceived as President [George W.] Bush's program, so I don't think that was really a starter, politically." Wayne Hale, the former head of NASA's space shuttle program, tells NPR that he thinks the Asteroid Redirect Mission is "a great technology-development mission. It's not a science mission, and that's caused it some criticism." The long term goal, he says, remains to put humans on the surface of Mars. "If a new president were to come in and say, 'We're not going to go to Mars, we're going to just junk that whole idea," that would be a big deal," Hale says. But he thinks NASA would be OK if the next president decided that this asteroid plan should be abandoned in favor of a different step toward the Red Planet. "I don't think that would be a huge shift in priorities," Hale says. "I think that would be something the agency could accommodate."